Why is Fáilte Ireland ignoring the home of Halloween? 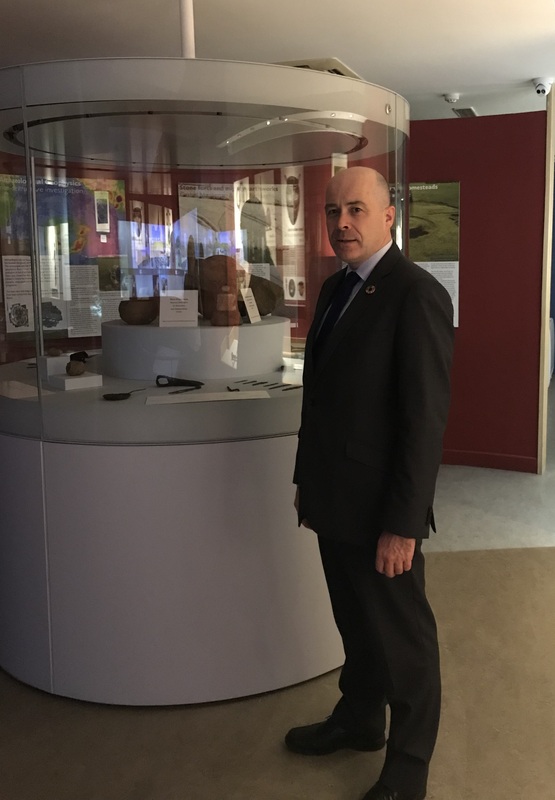 Local TD Denis Naughten has questioned Fáilte Ireland as to why it is ignoring the fact that the global festival of Halloween originated in County Roscommon. “While I welcome the proposal by Fáilte Ireland to promote Ireland as the home of Halloween, the tourism body seems to want to ignore the fact that the festival originated at Rathcroghan in Roscommon,” explained Denis Naughten. “It’s really disappointing that after launching the Ireland’s Hidden Heartlands tourism brand recently, one of the first actions by Fáilte Ireland is to try to take one of our hidden gems away with a slick marketing plan. “As a result I’ve raised this issue in the Dáil with the Tourism Minister, Shane Ross TD, and I’ve also made contact directly with the Chief Executive of Fáilte Ireland, Paul Kelly, seeking answers as to why Rathcroghan is being airbrushed out of our history and our mythology,” added Denis Naughten. Background to Rathcroghan & Halloween and Dail Reply. Did you know that Halloween began here at Oweynagat – Ireland’s entrance to the Otherworld? Halloween has its origins in the pre-Christian pagan festival of Samhain, which traditionally marks the end of the harvest season and the coming of winter. This would probably have been the last chance to celebrate the harvest before preparing for the challenge of the cold, barren months ahead. As Samhain is a natural interval or liminal period between the summer and winter seasons, it is perhaps no surprise that this festival provided ease of access across the borders from this world to the Otherworld. At Samhain these borders lie open, and allow the spirits freedom of access to the mortal realm, the entrance of which is here at Oweynagat. It is at Samhain that Nera descends to the Otherworld via the cave after witnessing an Otherworldly army emerge and destroy Queen Medb’s palace. It is also from Úaim Crúachain that fearsome Otherworldly beasts emerge to ravage the surrounding landscape and make it ready for winter, such as the triple-headed Aillén Tréchenn who wreaked havoc right across Ireland, magical wild pigs, predatory cats and birds with breath so foul that it withered the leaves and berries from the trees. The emergence of these terrible beasts and creatures was the inspiration for people at Halloween to dress up and disguise themselves, so as not to be taken, and meet the same fate as Nera. It is very interesting for us to note the echoes of Samhain in customs and rituals surrounding modern Halloween, especially those pertaining to us here in Rathcroghan, and the cave in particular. In its own day, Oweynagat would have been one of the most sacred and important places on the entire island. It is the home of the Mórrígan, Goddess of War. The epic literature recounted the deeds of numerous legendary warriors, who faced trials at the hand of this malevolent goddess at Oweynagat. Although there are certainly more complex and extensive cave systems in Ireland, none can compare with the rich seam of mythology and cultural history that are associated with Síd Crúachan. Combining these tales with its central geographic location in the ritual landscape of Rathcroghan suggests that it had a role as a testing place for young warriors. To enter the home of the Mórrígan, at the entrance to the Otherworld, in darkness, alone in a strange environment. To prove yourself in a rite of passage, being central to a ceremonial event marking your transition from one stage of life to the next. Rites like these occur across all cultures, eras and locations, and are commonly associated with a coming of age, arriving to the point at which one is held socially and morally accountable as an adult. To become part of a society. To literally descend into the earth and emerge ‘reborn’. To ask the Minister for Transport; Tourism and Sport the steps he is taking to promote the origin of the festival of Samhain and Halloween in Rathcroghan, County Roscommon; and if he will make a statement on the matter. My Department’s role in relation to tourism lies in the area of developing national tourism policy, while the tourism agencies have operational responsibility for the implementation of this policy. At agency level, the tourism potential of the various counties and regions is developed and promoted in line with the relevant tourism experience brands, which provide the overarching context for related tourism product development, marketing and enterprise support. In the case of County Roscommon, this is Ireland’s Hidden Heartlands, which, I believe, has very exciting potential to deliver sustainable growth for tourism in the region, resulting in higher revenue and additional jobs. I have asked Fáilte Ireland to reply directly to the Deputy regarding their plans for County Roscommon generally and the Rathcroghan archaeological complex specifically, including anything aimed at promoting its historic, prehistoric or mythical connections. Please contact my private office if you do not receive a reply within ten working days.